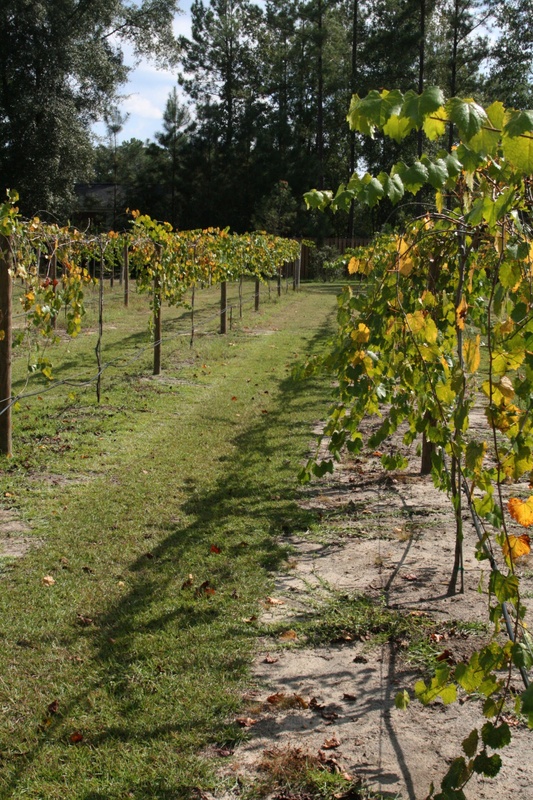 Muscadine vineyard at September Oaks. Someone asked recently how much wine an acre of grapes produced. There’s no hard and fast rule, but depending on the grape variety, an acre will produce one to three tons of fruit. ** On average, a grapevine needs 1,300 to 1,500 hours of sunlight during its growing season, and 27 inches of rain throughout the year to produce grapes suitable for winemaking. ** The optimum weather during the growing season is a long, warm summer that allows the opportunity to ripen fully and to develop a balance between the levels of acids and sugars in the grape. Now, if a grape category comes up at a pub trivia quiz, you’re ready.